Comes with open top and two removable, repositionable plastic shelves. 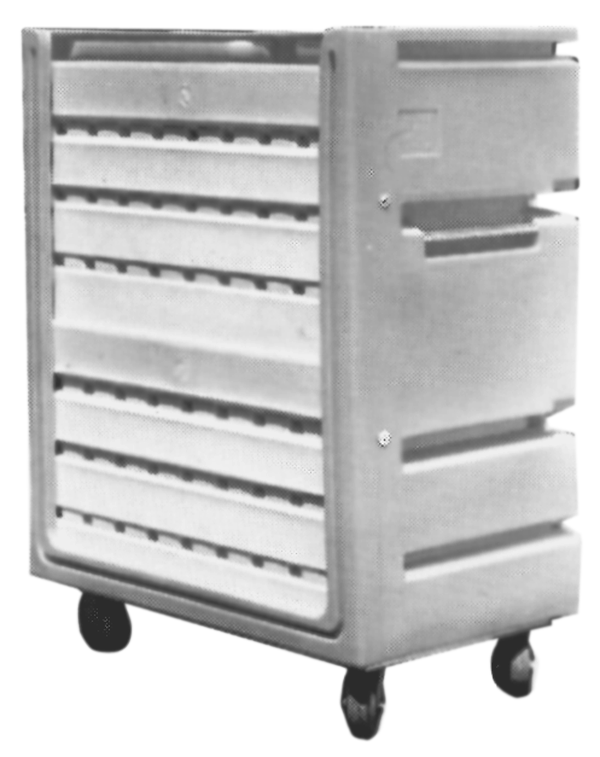 Cart shown with plastic shelves positioned to collect dirty linen. Open top.